Once upon a time, a home filled with beautiful antiques made a rarefied statement. From ornately carved sideboards groaning with ancestral silver to heavy mahogany dining tables complete with faded velvet chairs, inherited furniture — no matter how cumbersome — was the silent signifier of wealth. Today’s ultra rich, however, are choosing ever-increasing levels of personalisation to ensure that their homes truly reflect their characters and fit their lifestyle. “We can take a design as far as a client’s vision allows. If they can dream it then we can make it,” says Bernd Radaschitz, co-founder of design company Lanserring. “One of our more unusual requests, for example, came from a man who loved bowling and commissioned us to create his own home alley,” he says, while another client wanted their study to include a concealed entrance to a secret safe room, which the team hid with an eight-panel-wide cabinet finished in high gloss marquetry overlaid with a metal world map in gold finish. For many, made-to-measure interiors start at the heart of the home, in the kitchen. Radaschitz cites one woman who was a keen gardener and forager and wanted to create a kitchen that catered for her specific needs. Lanserring produced finely crafted cabinets complete with beautifully sculpted drawers — formed from a single piece of sustainable walnut — precision-cut to the exact size and shape of her knives and foraging tools. “This level of personalisation is all about attention to detail at all levels,” says Radaschitz. It is this can-do attitude along with a touch of interior wizardry that high-net-worth homeowners hanker after. Wiltshire-based cabinet makers Smallbone of Devizes similarly personalises commissions down to the tiniest detail. “For us bespoke really does mean bespoke,” says senior designer Jai Godwin, citing the exotic veneers and the rare metal finishes that now defines the luxury palette. “As long as it is fundamentally safe, we do not adhere to a given set of rules and we work to achieve very specific briefs with clients who want something unique to them,” he adds, recalling a request for a super-luxe statement kitchen for a country estate complete with internally-lit jewel onyx worktops. Sourcing rare and semi-precious materials from such far-flung countries as India, China and Brazil is perhaps the ultimate expression of the wealthy homeowner’s desire to take bespoke to the extreme. They want to own something that cannot be replicated, which also serves as an indication of their wealth and lifestyle. There is often no better indicator of wealth than a rare and extensive wine collection — and when it comes to storage, there is no room for compromise. 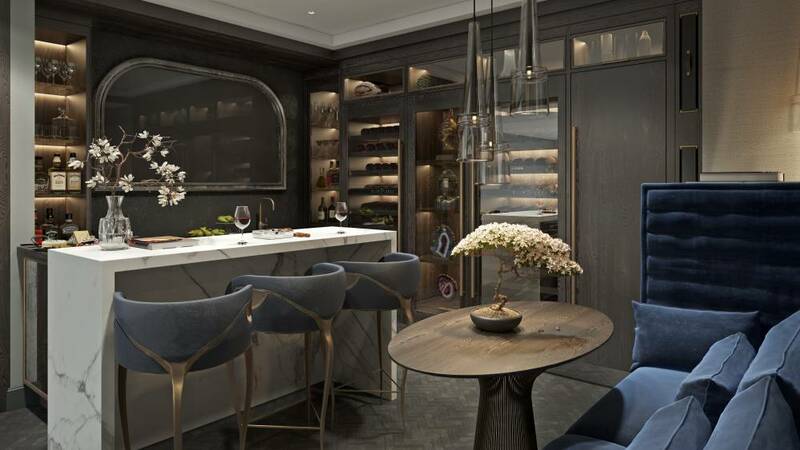 Smallbone’s wine walls, for example, are carefully designed to showcase rare bottles and exceptional vintages. Not only are they exquisite to behold, crafted from the best marbles, woods and leathers, but they also include the most advanced technology for vibration and UV protection, and temperature and humidity regulation. When it comes to complete wine rooms and cellars, interior designers will call on specialists such as famed wine merchant Berry Bros & Rudd for advice. But it’s not just wine — wardrobes and dressing rooms require air conditioning, climate control and low-lightning to help protect designer clothes. Lanserring created a wardrobe for a client from untreated red cedar wood, which not only has a pleasant, naturally occurring smell, it also has moth-repelling properties. The company is now scientifically researching the different uses of various materials and woods to be able to offer clients wardrobes that could help repel moths and keep clothes at the correct humidity. For fine furniture makers Mark Wilkinson, such commissions are all about beauty. Requests for glossy walnut Art Deco-style rooms with spotlit shelves for designer handbags are increasingly common as clients look to place “a sense of luxury at the centre of their every morning and evening routine”, the company explains. Meanwhile, London-based interior design studio Echlin created a chilled cosmetics cabinet — filled with beauty products chosen by high-profile make-up artist Charlotte Cowen — for the penthouse’s master bedroom at the Rathbone Square, Fitzrovia, development. Bathrooms, too, are often the rooms where clients let their imaginations run away when it comes to design. West One Bathrooms notes that the uber wealthy want extravagantly designed spaces with saunas and steam areas, in-built music systems, the use of materials such as Italian stone and extravagant details including bronze or rose gold taps. Maximising the outdoors is particularly high on the agenda of those that live in London. Some ask to make the most of views of greenery, or natural light, while others install living walls of leafy foliage, says Sam McNally, co-founder and design director at Echlin. 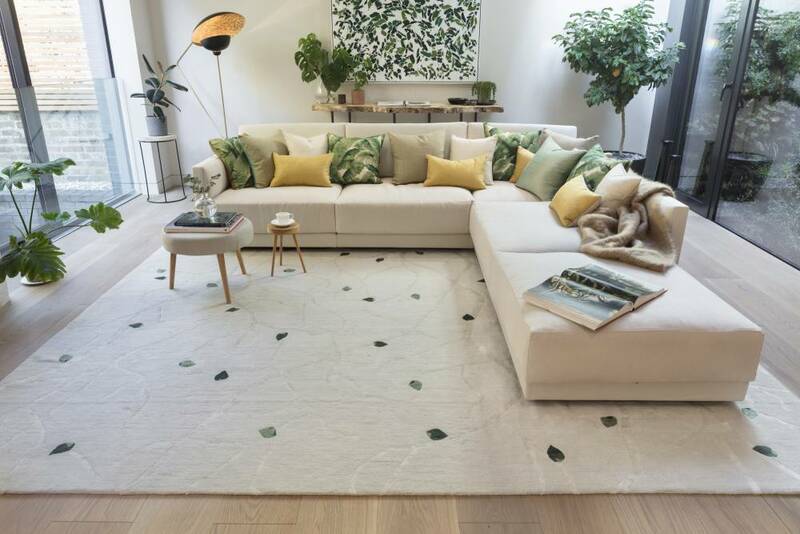 When developing Leverton House in Notting Hill, it collaborated with rug designer Lady Deirdre Dyson for a bespoke piece. “We took one of her designs — Falling Leaves, due to the close proximity to Kensington Gardens — and adapted the tones and colours to suit the project and help bring the outside in,” he says. Taking this concept a step further, the design studio also converted a small room at the top of Kenure House in Holland Park, to create “an indoor/outdoor bathing experience”, says McNally, whereby enormous sliding glass doors could be pushed back to open on to the patio so that the bather could enjoy a bath in the sun or under the stars. The need to connect to the outdoors is not unique to London. A Cornwall-based client asked Smallbone to create a kitchen and bar to fit the curved tower of a seaside peninsula property, says Jai Godwin: “It called for a completely circular set of rooms that included a kitchen, island and bar finished in a sumptuous high gloss smoked eucalyptus timber with curved glass cabinets and mirrors, which in turn reflected the truly spectacular vista.” Bringing the outside in, the cleverly designed rooms harnessed the sweeping shoreline views in an elegant manner. Such unique designs have a positive impact when it comes to house sales. “People have always been prepared to pay a premium if they perceive something to be of superior quality,” says Albert Hill, co-founder of specialist estate agency The Modern House. Recent research from the agency revealed that well-designed London homes worth over £1m consistently sell for 19% more than neighbouring properties that haven’t had a designer’s touch . 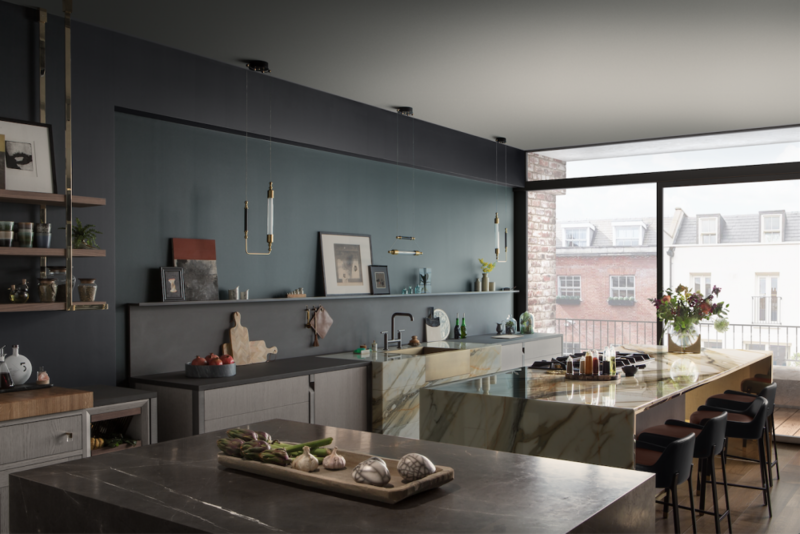 “Design is a real differentiator for today’s home buyers and they are prepared to dig deep if they can see a design having a tangible impact on their lifestyle,” says Hill. But the family heirlooms haven’t been entirely forgotten. Although much of the drive for ultra bespoke interiors comes from an evolving, modern lifestyle, there is also a trend for reinventing crests or ancestral pieces to work in modern homes. 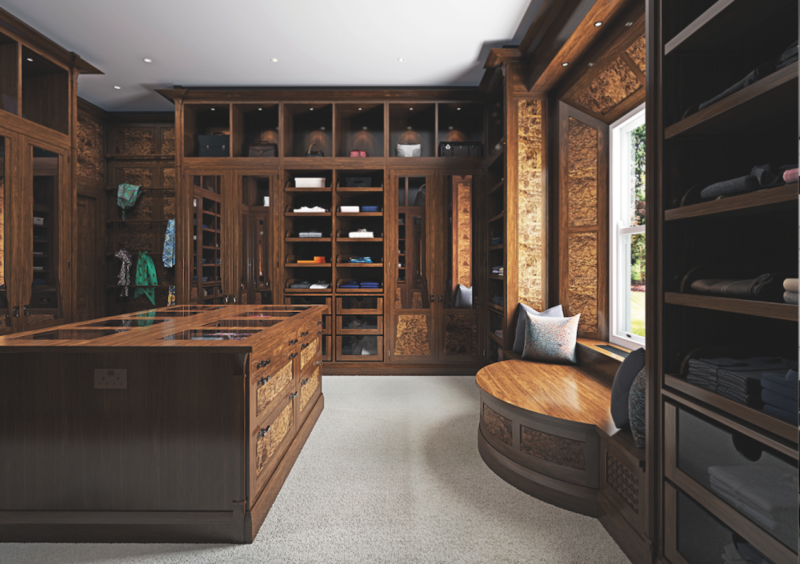 “We are seeing an increasing demand for client’s initials or family crests integrated into furniture, either in the form of a marquetry pattern, or simply engraved into an item,” says Lanserring’s Radachitz. Although often challenging, embracing and creating the fantastical ideas of the super rich is all part of the fun.